First things first, the place was so dark my camera just could not deal, therefore pictures are not great. It was my last stop of the trip so I had my fingers crossed it was a good one. I walked into the entrance which was dimly lit and wood grain finished which then lead into an underground, slightly dungeonesque feeling room full of men in suits. There was not one woman in sight – this place was a literal man cave. After taking a seat and having a look at the menu for five minutes, I still had no idea what to order. 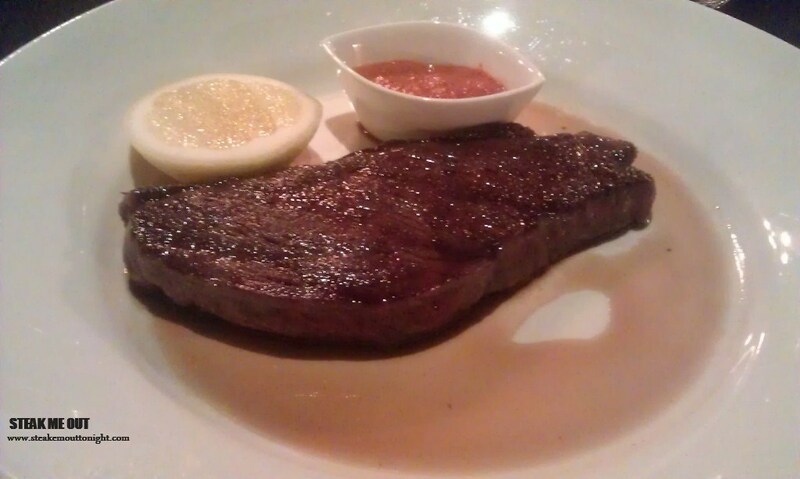 The waiter recommended the F1 wagyu striploin MS4+ which (coincidentally?) was the most expensive cut. As another five minutes passed I decided to get the F1 Sher 200g wagyu rump cap, MB8+ rare, sourced from the Macedon Ranges served with harissa and jus ($37.9). About 20 minutes passed after we placed the order when the meals came, and on arrival it smelled amazing: a smokey, salty, charred steak which looked perfect. There was no pepper on it but that was easily fixed. Cutting into it showed that it was cooked perfectly rare with a high visibility of marbling. Being a rump with MS8+ made for an unbelievably creamy, tender and fatty steak while still retaining the fantastic beef flavour. If you’re in the city in Sydney I would definitely recommend the Chophouse for a steak that will leave you in heaven, but not break the bank. 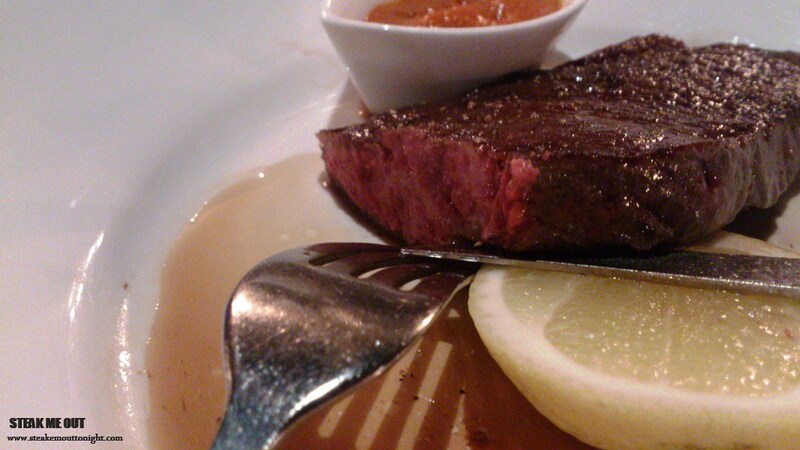 Posted on December 12, 2013 October 13, 2015 by AdrielPosted in Steak, SydneyTagged Rump, Steaks, Sydney, Wagyu.